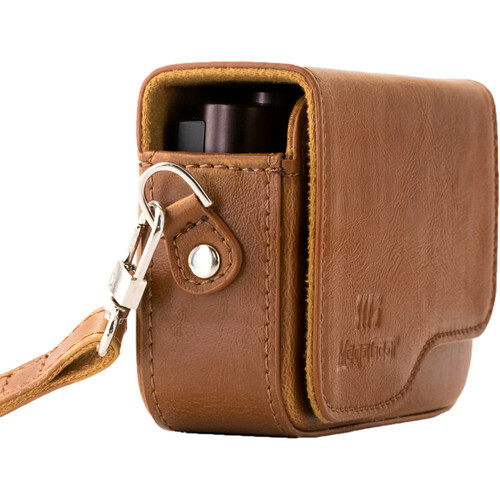 Give your Canon PowerShot G9 X Mark II a touch of elegance while protecting it from dirt, scratches, and bumps in the brown Ever Ready PU Leather Camera Case with Strap from MegaGear. For style, this case has attractive stitching reminiscent of old world craftsmanship. The leather-like, sustainable polyurethane material reflects new world ecological sensibilities. Made of the same polyurethane, but with a suede-like finish, the interior softly caresses your camera while also protecting it from scratches.